← What weight can a 7.5t take? How many pallets will fit in an artic? Commercial Vehicle Payloads…. 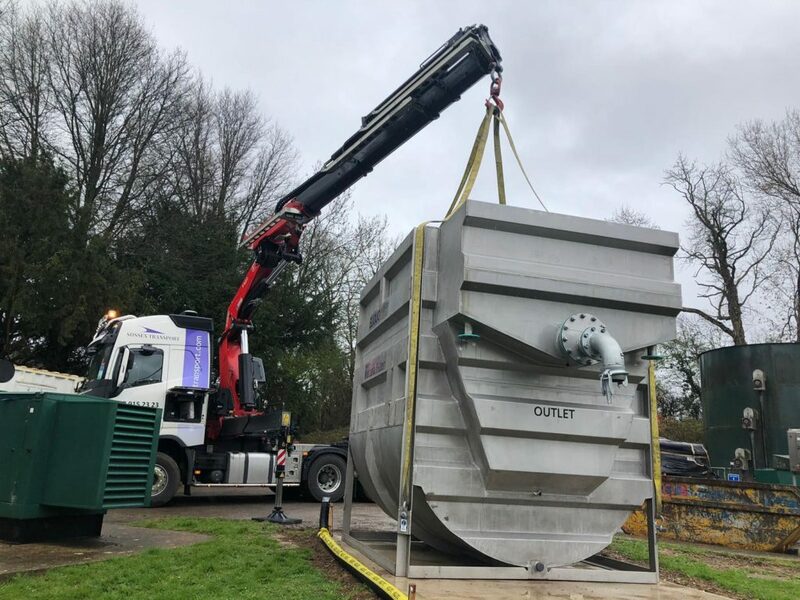 Late last week Sussex Transport worked with a client to deliver, lift and unload a 6,000kg water tank into position at a water treatment plant. The water treatment works was located north of Portsmouth, Hampshire and the hiab work was carried out by our skilled artic crane operative Alex. 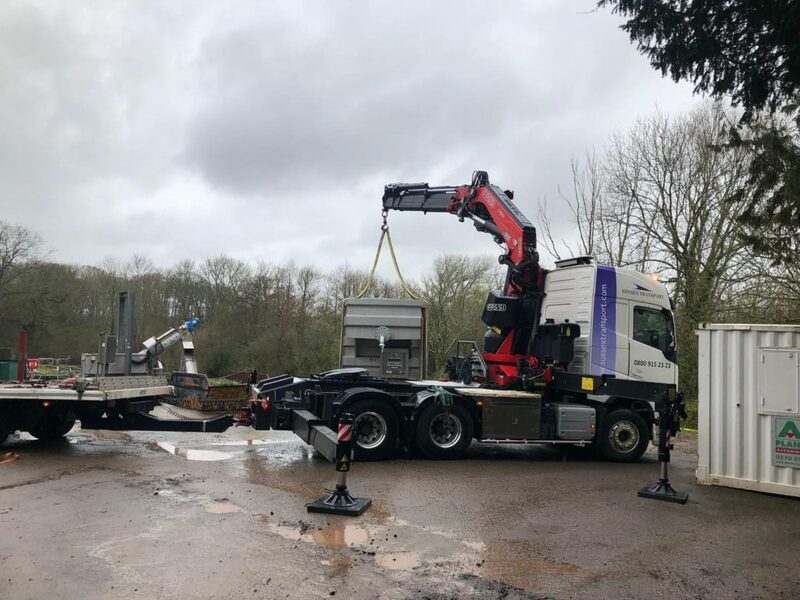 A combination of the tight access onsite and the weight of the unit (6t) meant that we needed the 80t artic hiab tractor unit and short trailer to undertake this lifting operation successfully and safely. This entry was posted in Artic Transport, Delivering to..., HIAB / Crane Lorry Loaders, Where are Sussex Transport going..., Where are Sussex Transport..., Working with... and tagged Artic Hiab, hiab, hiab portsmouth, portsmouth transport, steel tank delivery, steel tank lifting, water tank delivery. Bookmark the permalink.